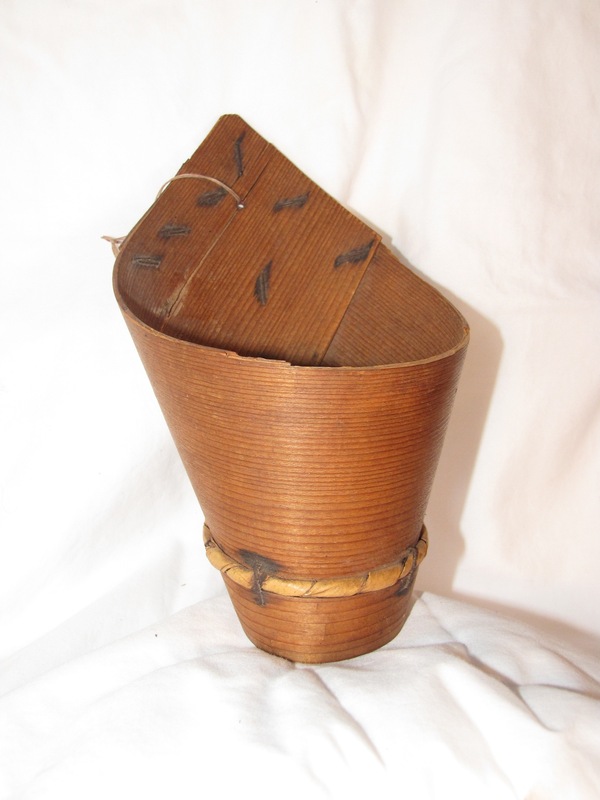 A small Shaker sieve made from cedar, bark and held together with wire nails. 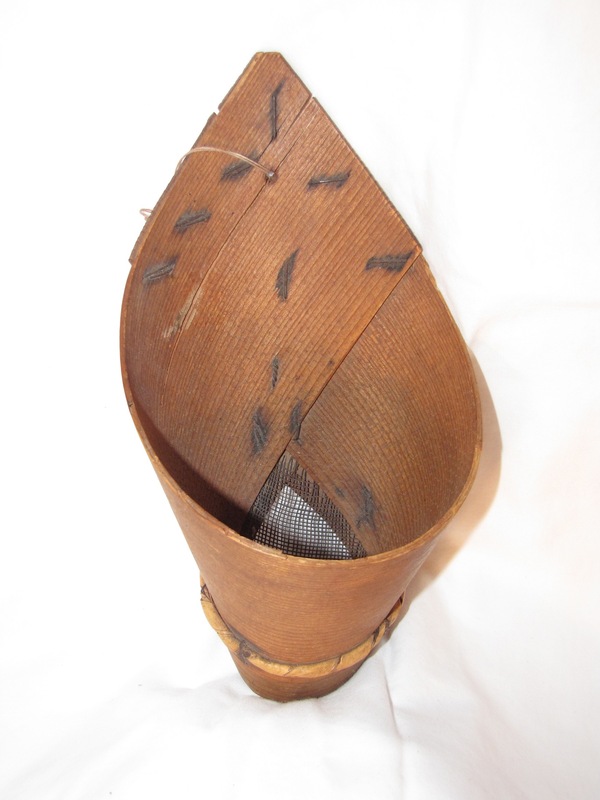 Dating from 1890 this was in the collection of Catherine Thuro an early expert on treen. Height 9 inches.